Scars and blemishes are major problems in getting a flawless skin. These scars may be due to some rashes, acne scars or any other allergies that you had in the past. Getting rid of acne scars/pimple marks is like the same struggle that we do to treat acne and pimples. No matter how hard I try to resist the urge to touch or squeeze them, I will still do it purposely or unknowingly which leaves a scar or an ugly looking mark. In this post, I will be sharing few home remedies that have proven beneficial and helpful in getting rid or lightening the scars. I generally get blemish or spots due to occasional pimples that I have. These are tried and tested home remedies I would say since; I do them regularly to remove them. Before starting, I will appreciate if you can do a patch test or something like that as you might be knowing you can be allergic or your skin can be extra sensitive to a particular thing. So make sure to put the remedy item near your ear first so as to make sure, your skin does not react to it in a not so good way. Take one spoonful of lime juice and add a pinch of turmeric. Mix both of them well and apply gently on the scars or the entire face. I will recommend diluting the lime juice with some water and then mixing turmeric. This can be left overnight. But first see if it does not cause any reaction for you. I will consider this as the best home remedy or treatment to lighten the scars, marks and pigmentation as well. I do rely on this a lot to lighten the pimple marks and it works effectively. 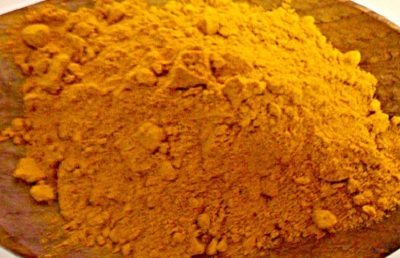 However, do not add too much of turmeric else it gets difficult to take off the yellow stain it leaves completely. Tomatoes can be another great product in lightening blemishes and scars moreover, they are very simple to use. Take a medium sized tomato. Cut it in half and squeeze it a little. Use that to rub on your face or the targeted area in light circular motions. Let the juice soak in for some time and again start massaging with circular motions. Leave it for 15- 20 minutes and then rinse off. 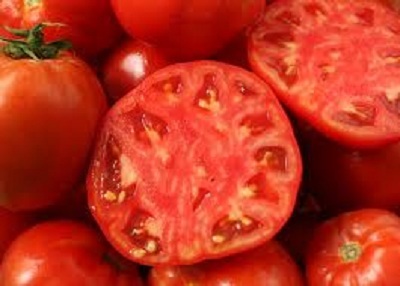 It also gives mild exfoliation and the enzymes in tomatoes are known to lighten the marks. Take a potato and grate it. Then squeeze it to pour out the juice. Then, apply or rather dab this juice on the marks and scars or pigmentation if you have. Leave it for overnight. In the morning wash your face and continue with your day time skin care regimen. Do not forget to apply sunscreens, no matter if its cloudy or sunny outside or even if you have oily skin. For oily skin, go for gel sunscreens. You can also apply a lightening face mask with Gram flour, yoghurt, turmeric and some lime juice. So here Gram flour and yoghurt will act has a base for your turmeric and lime juice. It very good for improving overall skin tone and texture apart from scars and blemishes lightening. These remedies you can do at night or evening time. If you are in college or school, then also you can do them. There is no age limit to do these simple and effective remedies. These natural ways to remove scars or marks have worked for me. I hope you get benefit from these kitchen beauty enhancers too. Thanks Tanu..:) There are alot of people who struggle to get red of marks and spots may be it will be beneficial for them, if in case they are not aware about these herbal methods and remedies. Vit C serum has always worked me! Great post Niesha... I'm gonna try them too.. Thank you for the tips Niesha! Unfortunately I always touch my blemishes. same with me, but now i have controlled it upto some extent. I have heard of tomatoes, lemons, turmeric and potatoes as being used as lightening agents. But they work very well on the facial skin. I have also heard of coconut oil/milk being rubbed on scars to make them lighter. Try it out. You can even use a coconut based cream to do that if you are not too sure about using oil. Use parachute oil or better still, parachute advansed body lotion that has coconut milk in it. It's easier to use and might work for your body scars.